These adorable kitties will steal your heart forever. This intuitive pair, Hercules and Owen, are each magical in their own way and totally devoted to their person, Kathleen. They try to go everywhere she goes and sometimes stow themselves away when she refuses to take them along. The usually go one at a time though, together, away from home, could be a bit of a handful. They understand her both in what she says and what she feels. They do an excellent job at judging other people’s character too. Kathleen has been able to keep their special capabilities to herself so far. They do look like two of my kitties but their magic exceeds anything I have witnessed here at home. I absolutely love them and they would be welcome at my house any time. The mystery this involves two brothers who have been estranged for years. They previously lived in Mayville Heights and had returned to try to get beyond their differences. Leo has also come to see his son Simon and his granddaughter. Victor is having health issues and fears his days are numbered. Before ant reconcilation can happen Kathleen finds Leo’s body and gets very upset when Marcus hones in on Simon as the prime suspect. Kathleen feels answers may be found by digging into the past to find what drove the brothers apart. She has heard rumors but with a little feline assistance she is determined to get Simon off the wanted list and the real culprit behind bars. Being back in Mayville Heights is like visiting old friends. I imagine I would spend a fair amount of time at the library and may even volunteer. Kathleen and her staff is so welcoming to everyone. Right now the staff is working with a box of old pictures and undelivered mail they have received. Their attention gets diverted when the Leo’s body is found. Mia, his granddaughter works at the library and she has just brought him in to meet her coworkers. I really enjoyed the premise of found items playing a critical part to solving the mystery. This story has a quick pace and the suspense ramps up nicely as the story continues. Kathleen starts to zero in and draw conclusions just in time to land herself in a bunch of trouble. The clues all came together for me at the same time as Kathleen. A fun well written mystery with characters that continue to evolve makes this one of my favorite series. 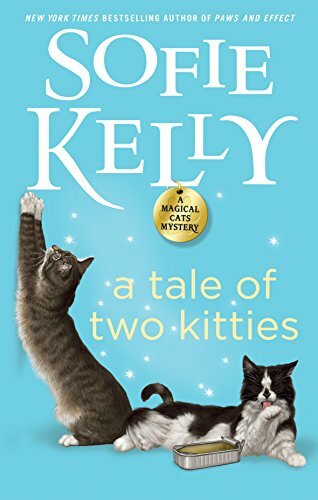 Of course, the two furry felines are my stars in this story. Note – There is a bonus short story at the end of the book and that was a nice surprise. Thanks, Lori! Good luck everyone. I really enjoy Sofie Kelly’s books. This is a must read on my list. 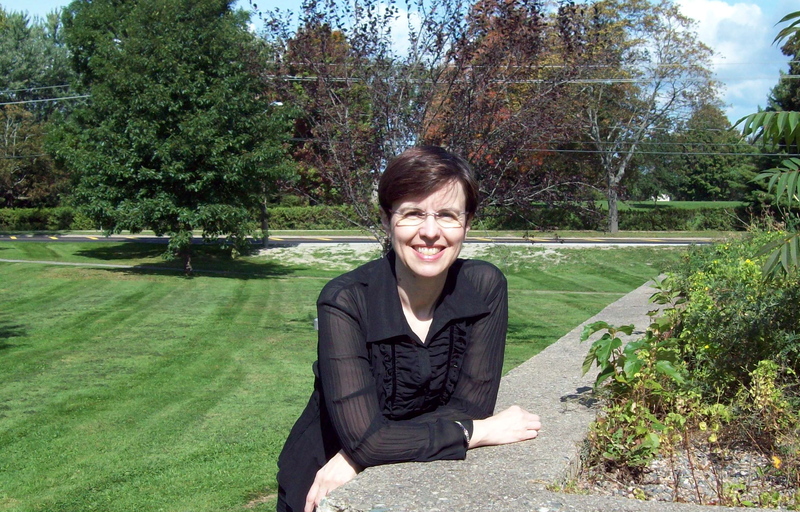 Thanks so much for hosting Ms. Kelly and her book on your blog. Pretty book cover. Sounds like a good book. I absolutely love this series. I’m allergic to kitties, and this gives me a “kitty fix” and a great mystery all at the same time. Sofie has created characters and animals that are so real I feel I could run into them at any time. Please keep the books coming! I love books featuring cats. These look great!